WESTFORD, Mass. 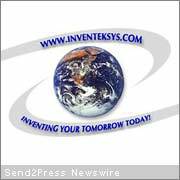 /Massachusetts Newswire/ — Inventek Systems, the leading manufacturer of low cost, highly accurate OEM GPS modules, has developed a dual UART GPS with SiRF binary outputting position, velocity and time at 5 times per second without interpolation. Offering real time GPS updates, this compact 18 mm x 18 mm GPS module is ideal for high-velocity, high acceleration applications and is based on the SiRFstarIII(TM) architecture.